One of the UK’s largest suppliers of timber and construction products, Arnold Laver, has secured a deal with Composite Prime to exclusively stock its HD Deck 150 across the UK. 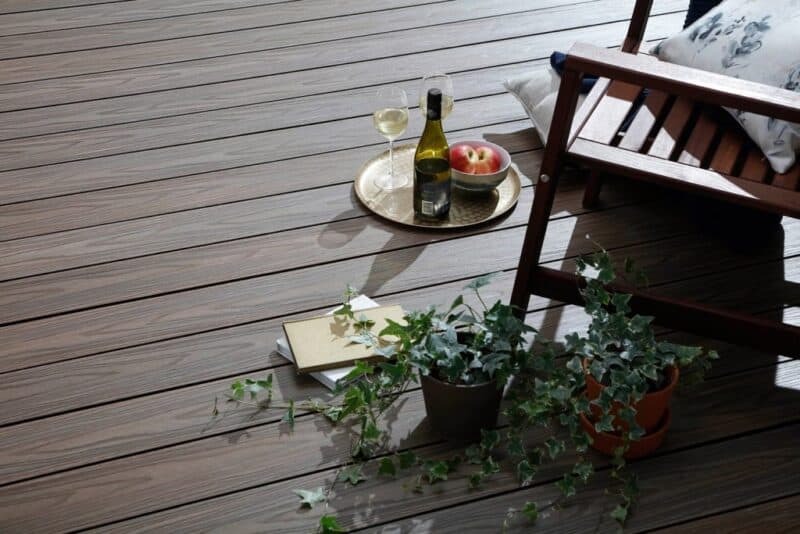 HD Deck 150 is a high-quality wood plastic composite deck made of FSC® 100% certified hardwood flour and recycled plastic. Featuring the aesthetic appeal of timber, combined with a number of benefits unique to a composite material, HD Deck 150 provides Arnold Laver’s customers with an alternative to traditional timber decking. Available in a variety of colours with no treatment necessary, HD Deck 150 offers homeowners a low maintenance deck, which has a longer life than its timber counterpart. With a secret clip system for a clean finished install, the composite material also benefits from being splinter free and slip resistant, making it ideal for families with children and pets. In addition to the HD Deck, Arnold Laver also stocks HD Deck Dual – a dual-sided composite deck with a natural grain that is reversible, offering two colour options in one, along with the opportunity to lay a deck with contrasting colours to create a bespoke finish. HD Deck Dual offers increased durability and guarantees a 25-year limited warranty for residential use. It is available in four colours, including Carbon, Antique, Oak and Walnut, and utilises true grain colour mixing technology to mirror the subtle natural depth of colour seen in natural timber. Charles Taylor, sales director at Composite Prime, said: “Our composite products have been making waves within the industry due to the traditional look and feel of timber but with the array of attractive benefits the inclusion of plastic has to offer, such as resistance to rot, alongside the advantage of being made from a sustainable, easy-to-maintain and long-lasting material. Composite Prime’s full range includes decking, fencing and garden products, which can be purchased from a number of distributors across the UK, including Arnold Laver.